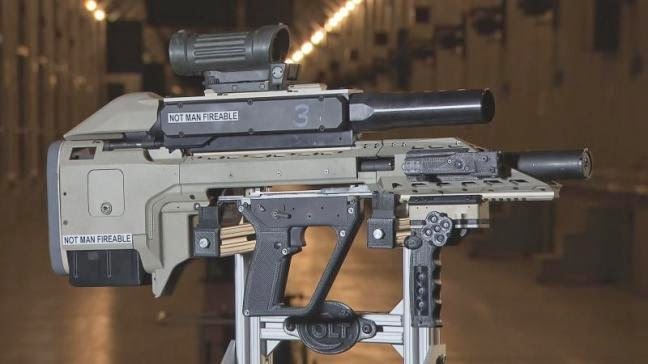 An assault rifle concept that combines firepower and smart integrated accessories that connect to command and control networks is being developed in Canada. Defense Research and Development Canada said the current prototype weapon developed with Colt Canada features a firing mechanism to shoot lightweight cased telescoped ammunition, a secondary effects module for increased firepower and a NATO standard power and data rail for integration of electro-optical sights and position sensors. It also has a secondary effects module for installing a 40mm grenade launcher or 12-gauge shotgun. "In the medium term, this weapon concept represents a lethal, flexible general-purpose platform," said Lieutenant-Col. Serge Lapointe, from the Soldier Systems group, Director Land Requirements, Soldier Systems of the Canadian Army. "It will be able to operate in all theaters of operations in the most complex terrain, including urban areas, mountains, jungles, deserts and the Arctic." 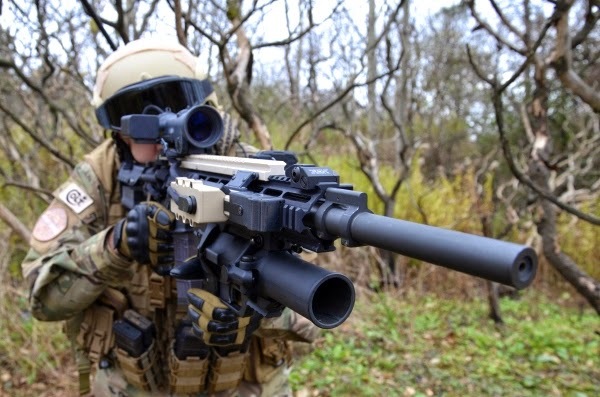 DRDC said the next development phase for the rifle will involve integration of electronic components to allow a soldier to send or receive data from a command-and-control network and for automated target detection and assisted target engagement.